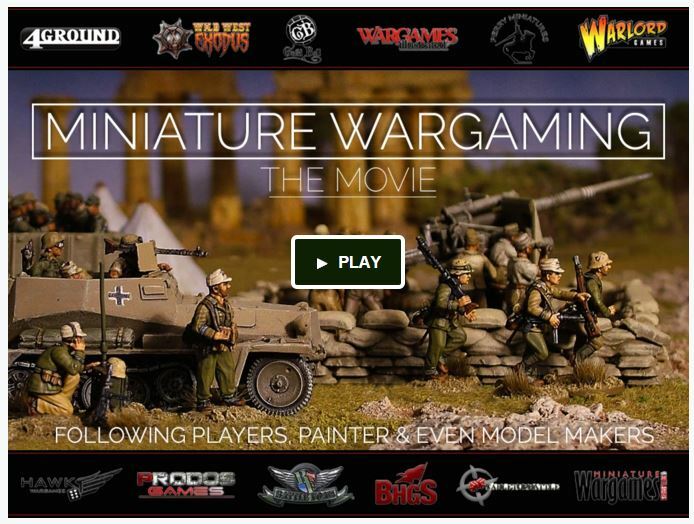 You may remember that back in 2016, on podcast episode 173, we talked to filmmaker Joseph Piddington about his project ‘Miniature Wargaming – The Movie’. Whilst the film was originally aimed at being released in 2017, the project has encountered several issues which have caused major delays – something that is not unusual with films, especially those produced by indie filmmakers. However, we have had news that the film is finally finished, and will be released to Kickstarter backers in October – with the film going on general release sometime in 2019, after the film festival season. I know Joe and his production team have worked incredibly hard on this project – I’m really looking forward to seeing the final result. This looks really interesting. Kills me that it will take forever to be able to see it here in the US.